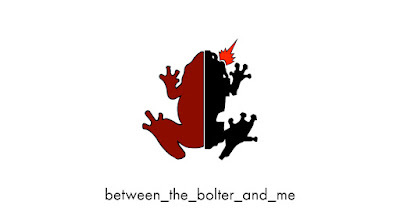 With 2018 over, Between the Bolter and Me has turned 6 years old! Like past years, 2018 has proven to be a very different year from those past. We were not able to attend any collaborative Inq28 events, but we sent models to a few (Lesotho 2-12, Mare Solum, and the Thorn Moon Crusade), and started working on a few more (Mordheim 2019, Rise of Phaeton). We did a lot of other random things, including starting to stream our podcasts and hobby sessions on Twitch and YouTube! In this post, we wanted to review all of the hobby projects that we worked on during 2018! A hapless scientist trapped within the halls of Lesotho 2-12. We began the year creating an unfortunate scientist trapped within the cursed halls of Lesotho 2-12, an event hosted by Jonathan Hartman at Warhammer World. It was fun finding a use for an old Forge World model included with the Death Korp Quartermaster. Our attempt at creating an more imposing Death Guard Traitor Marine. At the end of 2017, we showcased a collection of Death Guard models that were created by a talented group of hobbyists in response to the anatomical mess of the new Death Guard models. 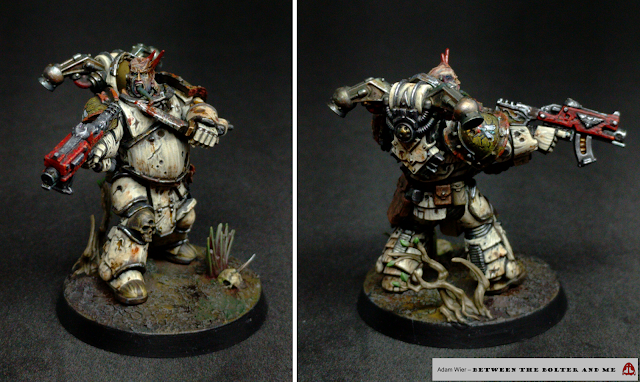 In early 2018 we were able to complete our Death Guard for the event, experimenting with different painting styles and techniques. 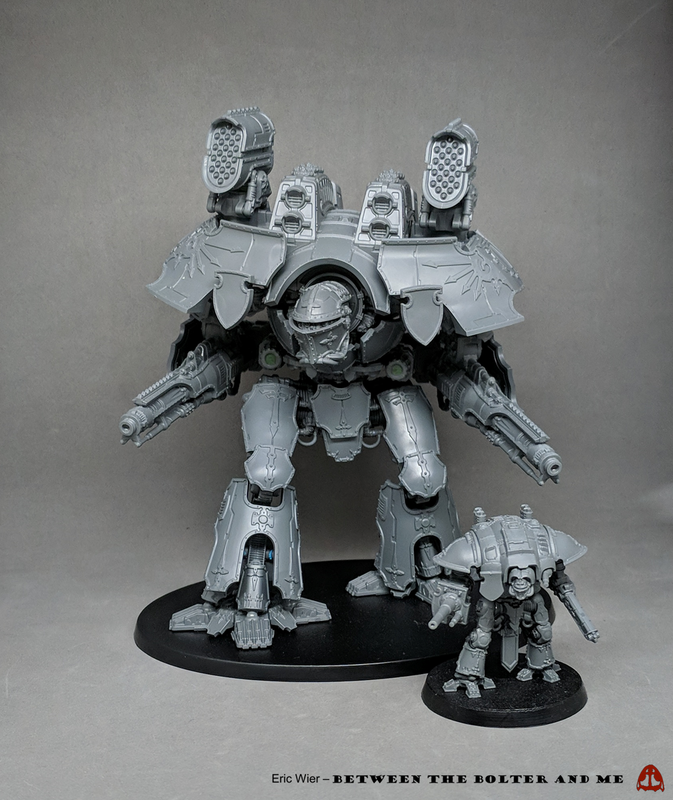 The Primaris Intercessor Space Marines are well suited for simple true-scale Space Marine conversions. 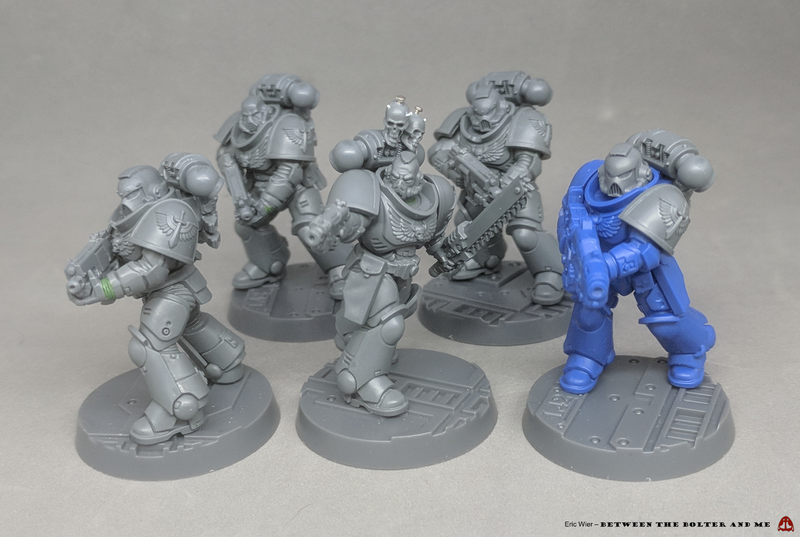 Primaris Space Marine Intercessors have been a boon for creating true-scale Space Marines with little effort. We wanted to explore this idea by trying to create a few Dark Angel Space Marines with very minimal conversion work. Since creating these, we went back and removed the fins attached to their knee pads to distance them further from Primaris Space Marines. 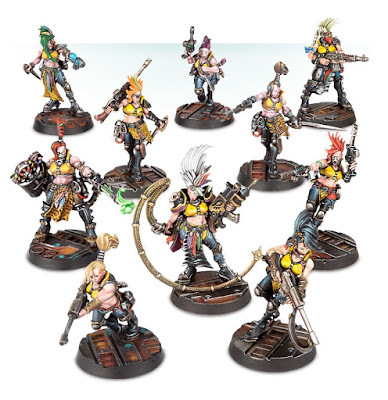 The new Escher models largely maintain the classic look of the Escher gang from the original Necromunda: sports bras, spiked leggings, and crazy hair. 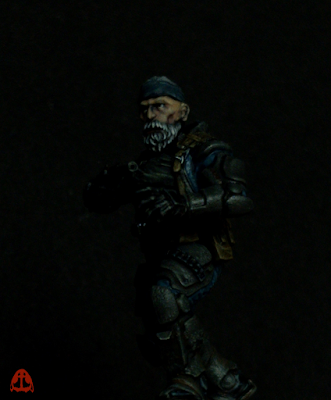 We discussed the merits of the redesigned Escher gang for the new edition of Necromunda, talking specifically about their awkward anatomy. They have very small heads, large breasts, and outrageously accentuated behinds. We were ultimately disappointed that one of the first fully female model sets that GW released did not do anything to present women in a less objectified manner. The post proved to be a strong point of discussion, to the extent that the comment section still rages, months after the post went live (though, the fire has started to settle). The Star Wars Legion models are not heroic scale, like Games Workshop models. Fantasy Flight Games released a miniature game in the the Star Wars Universe this year called Legion. 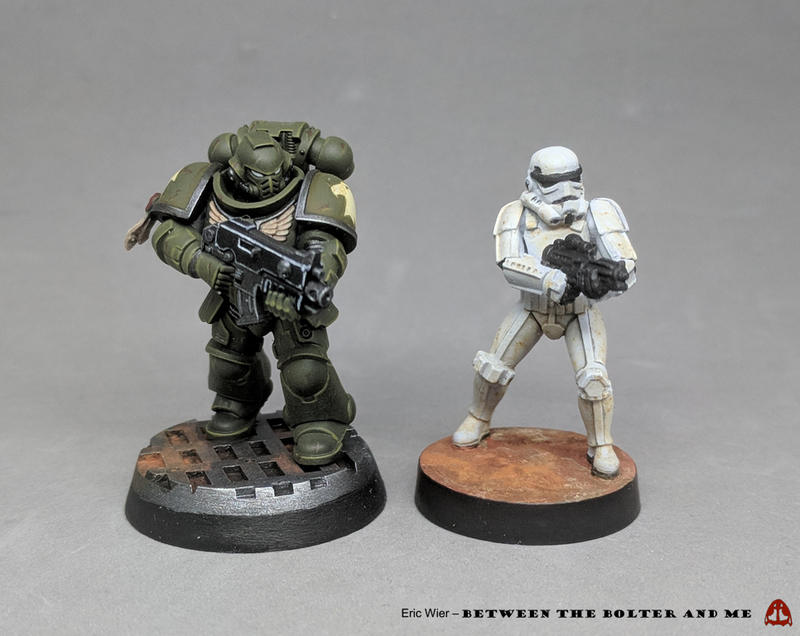 Knowing that the game was in the 28mm-32mm scale, we were curious to see how the models compared to those made by Games Workshop, and built and painted one of their Storm Troopers to see. A unit of Spireguard ready to defend the Thorn Moons from the invading Imperial forces. Iron Sleet’s Thorn Moon Crusade occurred this year, culminating roughly two years of preparation. And although we were not able to attend, we were able to send some models that we built over the last year or so. We created a branch of the Imperial Army that got stuck on the Thorn Moons during the Great Crusade and struggled to survive the alien environment of the moons. The talented and generous Polysmith created a series of fantastic female heads for the models as well. 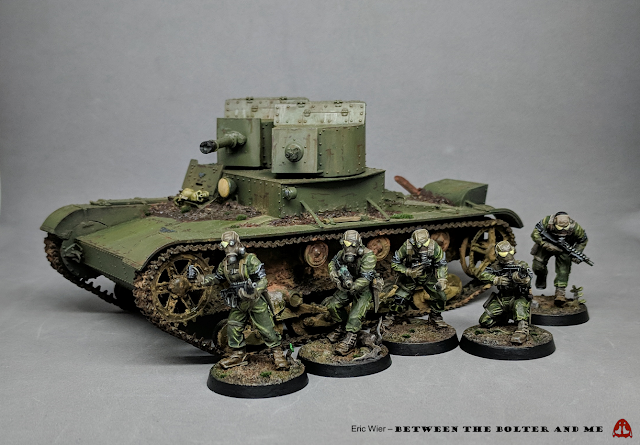 We also converted and painted a 1/35 scale T-26 for use in the event. 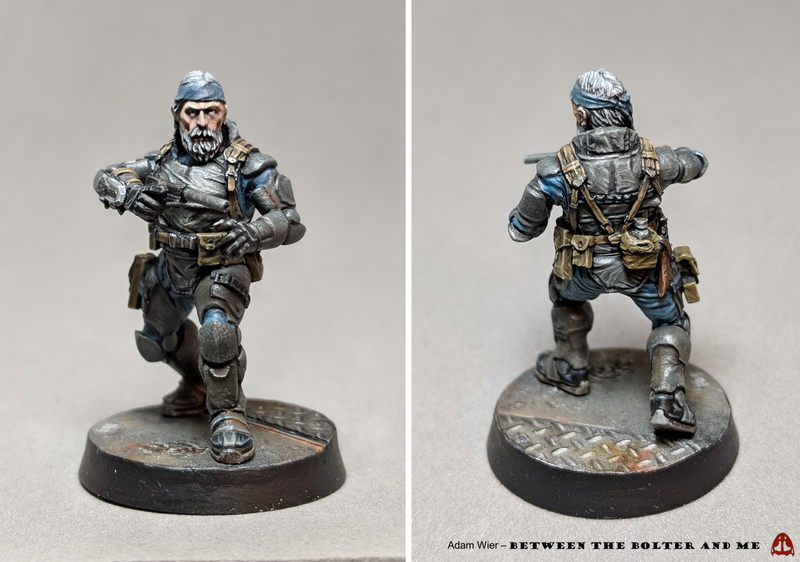 One of our Imperial Guard models with a head designed by the Polysmith! What do you know of Phaeton? 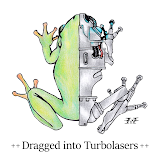 We are slowly gearing up for a collaborative project with Eli Parsons from the Dragons of Phaeton blog. Eli wrote a small piece of narrative for it to get people’s imaginations flowing. 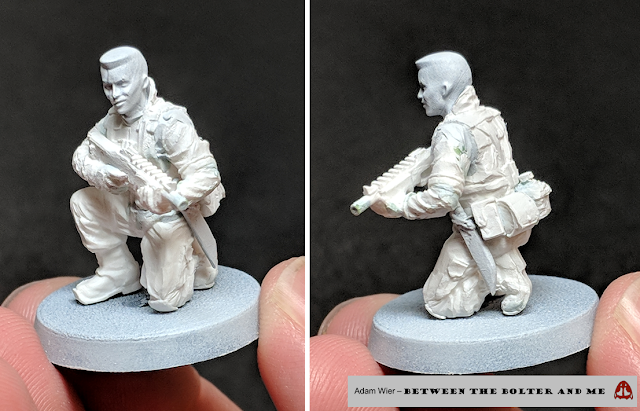 Meanwhile, we have been creating models for it, including converting and painting an infiltration expert, as well as another soldier of the Imperial Guard. We look forward to showing more in 2019! Using a Van Saar Necromunda ganger as a base, we converted an infiltration expert. 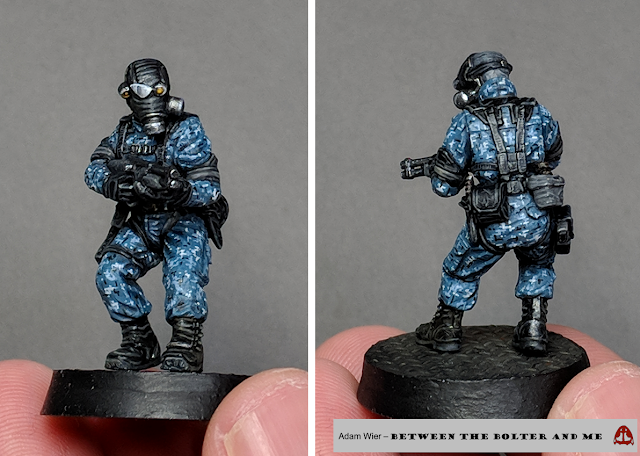 Rather than painting broad “tiger-stripe” camouflage, I decided to replicate a more delicate digital camo pattern for this Imperial soldier. Using the Imperial Guard models that we had created earlier in the year, we converted a jetpack-wearing mercenary for Mare Solum! Vince Fiore, of the Dark_Tech fame, hosted a collaborative project this year called Mare Solum, which had a deep-sea diver/nautical theme. Having just spent a lot of time converting and creating molds for our Imperial Guard, we decided this would be a great opportunity to see what diverse things we could make with them, and ended up creating and painting a mercenary to fit with the Mare Solum theme. A Warlord and Knight titan from Adeptus Titanicus. Games Workshop released an updated version of Adeptus Titanicus in 2018, complete with new rules and multi-part plastic models. We were fortunate enough to be able to get a copy of the Grand Master boxed set, and assembled many of the small titans! Bladegheist Revenants models were used to convert some spectral undead. We were invited to take part in an event to celebrate the 20th anniversary of Mordheim, hosted by Alexander Winberg (of the excellent Echoes of Imperium blog). While Alex defined the basic motivations behind the major factions, Tears of Envy, another extremely talented hobbyist involved in the event (who made Mordheim 2019’s excellent logo), had the fantastic idea of looking at the city of Mordheim through the lens of the Strugatsky brothers’ Roadside Picnic/Stalker. What would happen to the city after being poisoned by this wyrdstone for 20 years? How would its inhabitants and the city itself be affected and corrupted? And what sort of adventurers would risk their lives to find fortune by venturing into the City of the Damned? 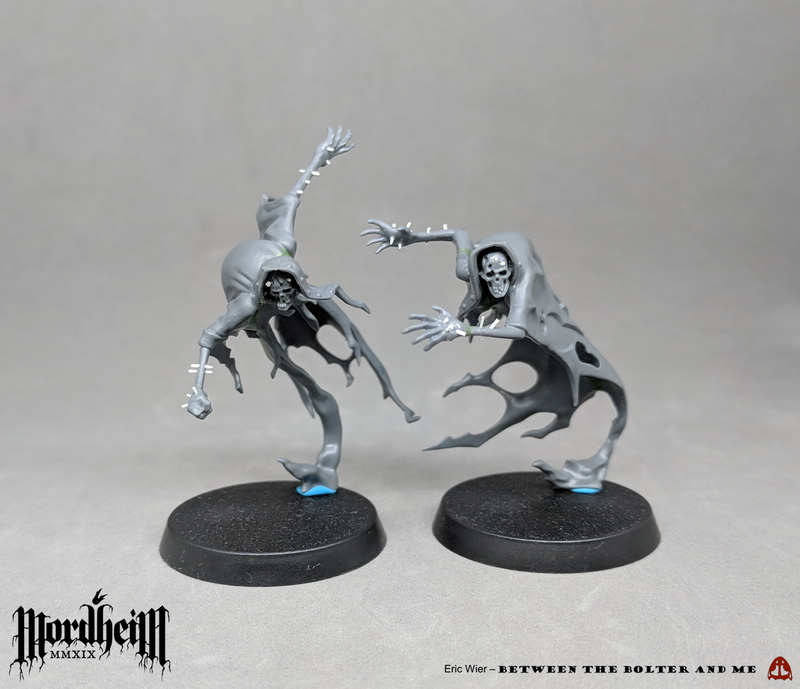 This concept really captured our imaginations, leading us to start experimenting with different warband designs, including an undead one, and a Sisters of Sigmar one. Our first Sister of Sigmar was based on a Cawdor ganger, although green stuff work obscures much of it. 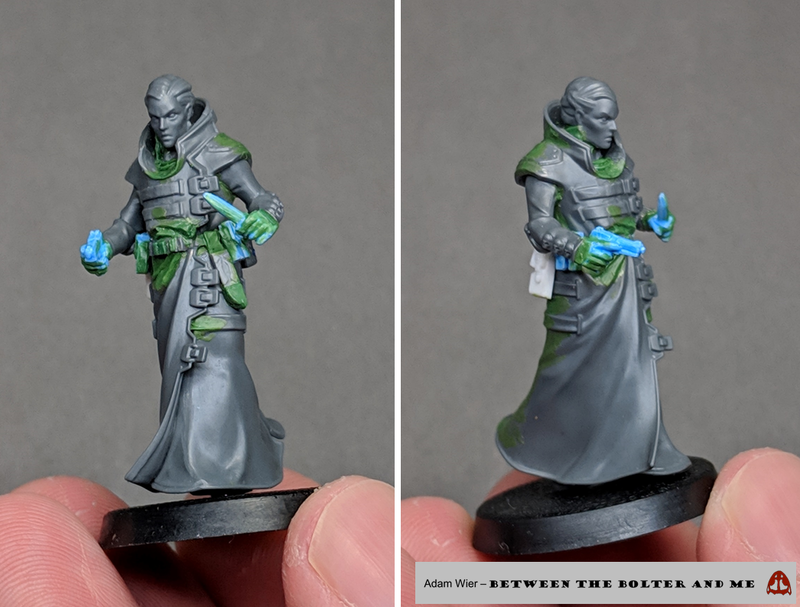 One of the acolyte models from Warhammer Underworlds was used for the second Sister because of her excellent sense of motion. 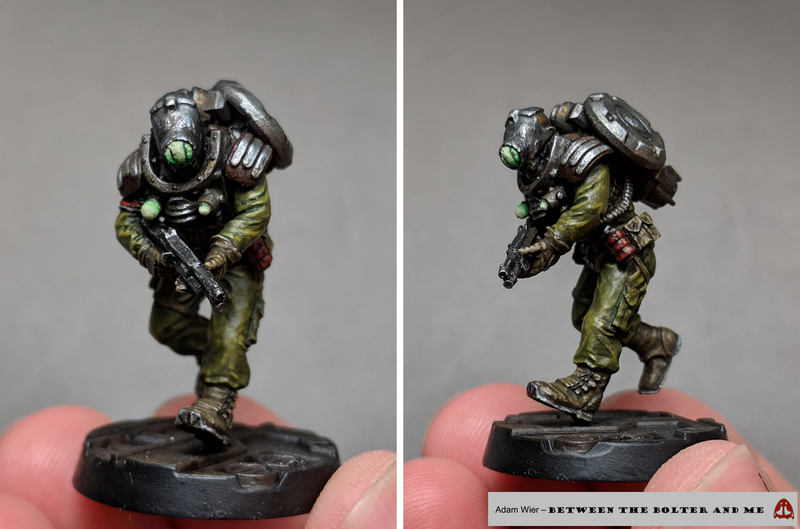 The Delaque gang from Necromunda was a great set to use to start Conversion Corner! 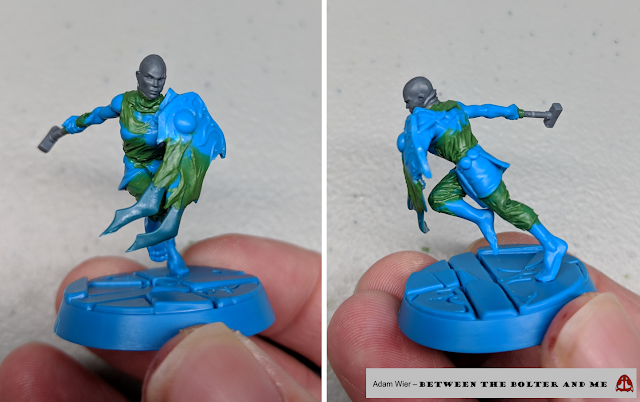 One of the final posts of 2018 saw us starting a new series where we attempt to convert models on a regular basis without resorting to extensive green stuff work. Our hope is that this will allow us to create more models more quickly, exploring ideas that might not be related to large projects. 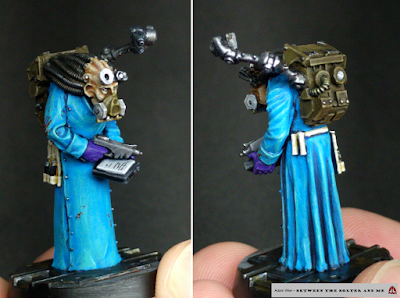 Our first model for this series, and a sort of mascot for the whole endeavor, is called the Happenin’ Habber, created from the Necromunda Delaque box set. Between the Bolter and Me ventures onto Twitch! One of the largest developments for Between the Bolter and Me in 2018 was our venture into live streaming on Twitch and YouTube. Initially, we began live streaming our podcast Dragged into Turbolasers, but recently began streaming some of our hobby sessions, as well. While it is still early days for our live streaming, we are really excited by the prospect of being able to use them to better connect with the wider hobby community! We hope that you enjoyed looking back over all of the projects that we worked on in 2018; it was a great year! We really want to thank everyone for taking the time to visit the blog; your support and encouragement mean the world to us. On to 2019! Thanks! We are quite excited about Mordheim too! Awesome stuff all around! I always love seeing the work y'all crank out, inspiring stuff! Thanks for always stopping by! The support means a lot! Another great year! Here’s to many more! Yeah, I hope for many more too! Good year! I'm obviously very partial but your Mordheim efforts will be the most interesting part for me. Yeah, I am pretty happy with the Mordheim stuff too. 2019 is going to be awesome! A fantastic year for you guys, I'm glad to have shared it in some small way. Keep it up and good luck for 2019! Thanks for following along and always showing your support! I continue to be amazed at the intricately painted camo on so tiny a model. Thanks! I think it turned out really well, but can't really imagine painting too many like it! Thanks for another year of excellent content, guys! And please keep addressing those hot button issues -- you are one of the few blogs that actually take the time to discuss the hobby in a broader societal context, and I really think we could use more of it: Being prepared to critically think about and discuss any given hobby never detracts from it, but rather enriches the hobby, and it's good to know that you have that angle covered! At the same time, your own modeling and painting projects are always great fun to follow, and even if I am more prepared than you guys to accept GW's sometimes OTT designs and proportions, your unique voice when it comes to modeling always provides some food for thought! So here's to another year, eh? All the best! Thanks for the continued support! We will continue to try to raise difficult issues, because as you said, it only enriches the hobby. 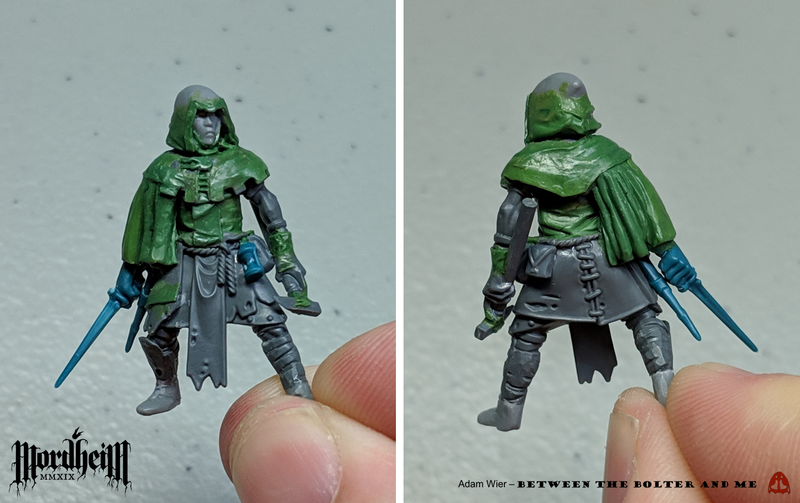 The Not-Liquid-Snake is a great idea, and admit the first time I saw the Delaque models I thought they would be great for converting an entire covert unit, totally-not-Foxhound, with perhaps a floating psyker with a rebreather? 1.) Trying to actually approximate the MGS characters with GW/40k parts -- obviously, this would mostly be a challenge from a modeling/painting perspective.